The priorities for the Condition Improvement Fund (CIF) are to address condition and expansion. Academies and colleges are invited to submit up to two bids, only one of which can be an expansion project. The Education Funding Agency (EFA) have recently announced the funding round for 20116/17. Primary and special schools may apply for funding from £20,000 to £4m for each project. Secondary schools, all-through schools and sixth-form colleges may apply for funding from £50,000 to £4m for each project. The deadline for registration is 2 December, with the final submission date 16 December 2015. The EFA is then set to notify successful applicants in March next year. Providing drawings, cost plans, programme and technical reports for expansion projects. Providing qualitative and quantitative data to support condition projects for replacement boilers, roofing and window replacement etc. 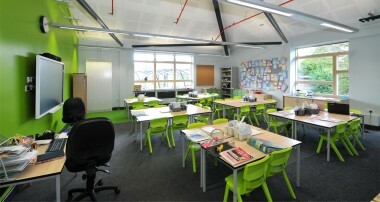 Dependent on your project, we usually support academies for free. More complex projects may require us to charge but we will agree this and any costs with you before proceeding. Whether you are a single academy or a trust looking for an approach which brings maximum benefit for your estate, we have the right knowledge and expertise to give your application the best chance of success. We are a national multidisciplinary consultancy – with local teams providing professional services for architecture, landscape architecture, master-planning, interiors/space planning, energy monitoring, building surveying, building services engineering, structural engineering, project management and cost consultancy. All our disciplines work together for the benefit of your project.